We’ve had a huge clear out, our stuff is packed for Chile and we’re surviving with the basics. 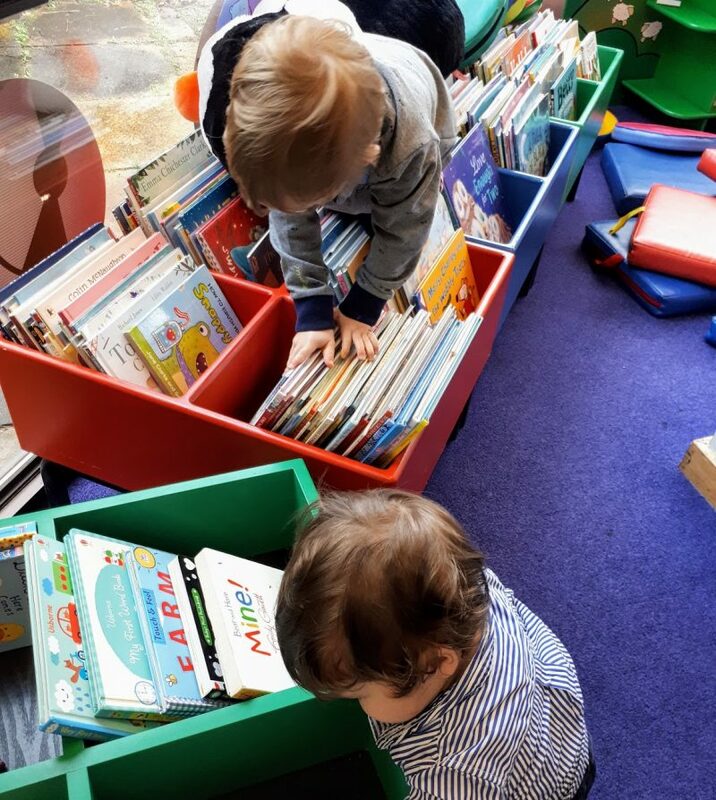 We’ve packed away our books too, including our children’s top reads, but have been making up for our loss with extra visits to our local library. One book didn’t make it to the packing boxes however – a Spanish / English children’s dictionary gifted by a friend. It was a lovely gesture and I’m extremely grateful, but it had to go straight in the recycling bin. Why? Because they were mistakes. Spanish words translated literally into the English, spelling errors and words that just don’t make sense (when is a park slide ever a ‘bottom’?) This was a book by a major Spanish publisher, not a Google Translate print out. I’m no Shakespeare, but I shudder at the thought of Spanish speaking parents worldwide dutifully teaching their children a horrendously incorrect form of English. 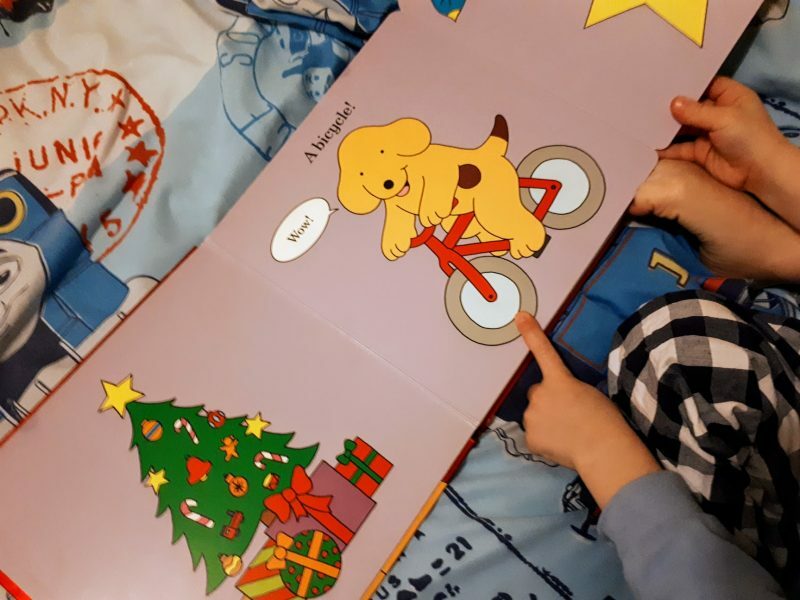 My children are brought up in a bilingual Spanish and English household and I thought to share some of our favourite English language books. All of the stories below are so popular that they’ve been translated into many languages, so you might like to purchase it in your mother tongue too, to sit alongside the English version. As a rough guide, I’ve listed the age range which based on my children and their friends, but every child is different and you might prefer to err on the younger side of the age bracket if your child is very new to English. 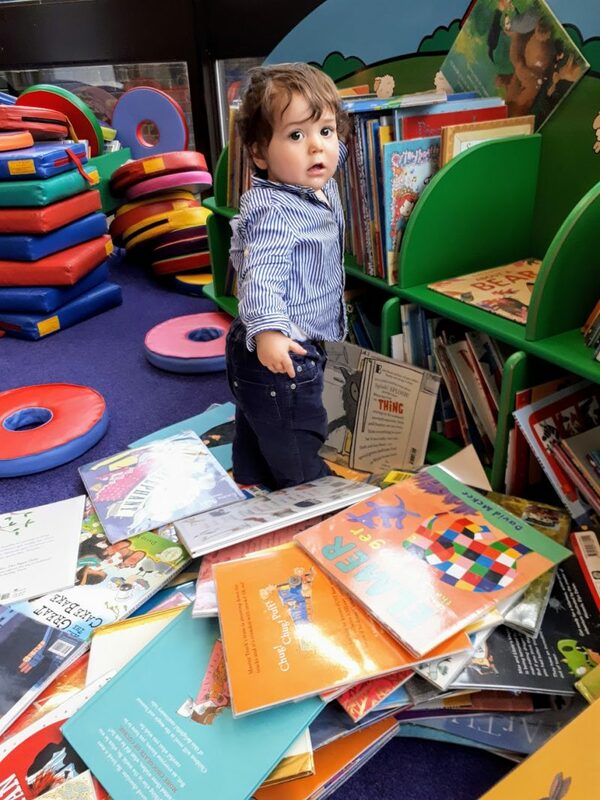 My kids are aged one and three, and they both love all the books below. Age 0 – 5. 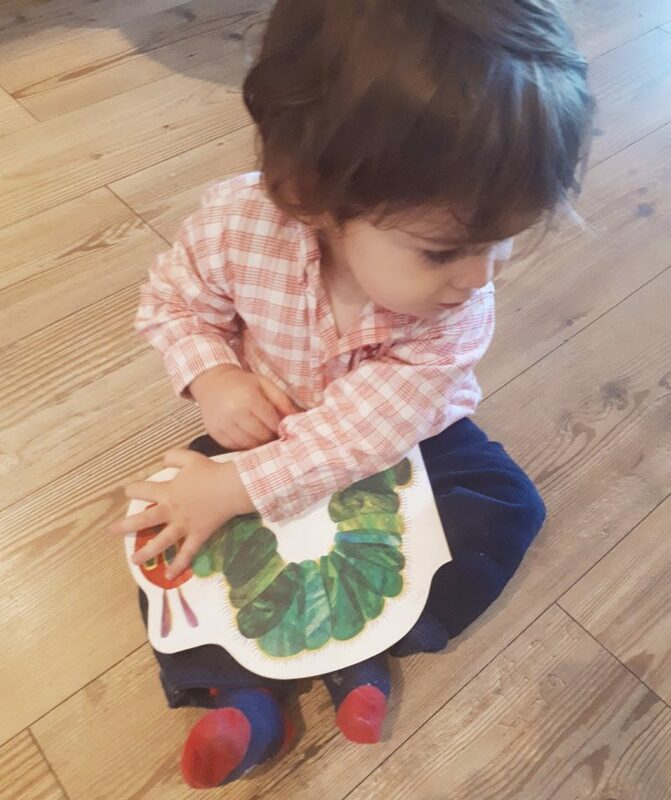 The Very Hungry Caterpillar, illustrated and written by Eric Carle. This story tells the life cycle of a butterfly, from egg to caterpillar to pupa to its ending as a beautiful, bright butterfly. Don’t expect scientific realism; it’s fun and bright, with the caterpillar eating everything from sausages to fruit pies. There are now several variations of this tale, with more simplistic versions for babies using basic illustrations only, to a more detailed story with holes where the caterpillar has nibbled through for curious little fingers to explore. ​Age 1-5. Dinosaur Roar! by Henrietta Stickland and Paul Stickland. My dinosaur loving boys are big fans of this series (Dinosaur Stomp! is another winner). The images are simple and bright and most importantly, not scary for a bedtime read. The rhyming and simple character descriptions (dinosaur fast, dinosaur slow…) makes this an easy and entertaining read and my kids love to act out all the different characters. The board back version works best for my one year old, while my three year old like the paperback version too. Age 3-7. 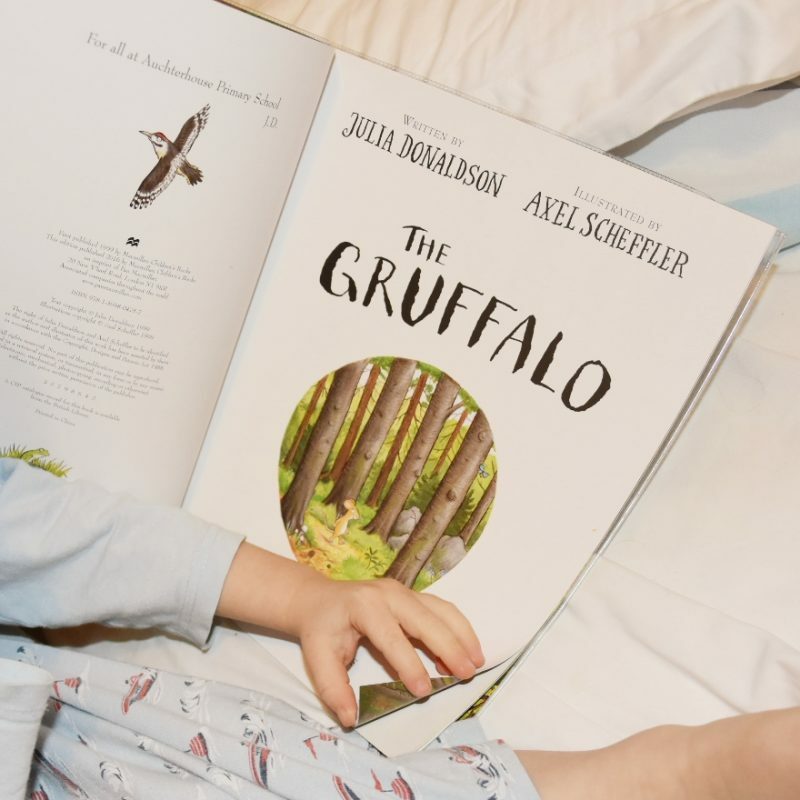 The Gruffalo by Julia Donaldson, illustrated by Axel Scheffler. This is the story of a mouse using cunning to escape from other animals in the forest, by inventing the story of a scary monster, the Gruffalo. When the mouse crosses paths with a real Gruffalo it is again wit and cunning that saves the day. The story is based on a Chinese folk tale of a fox that borrows the terror of a tiger. It’s a fun narrative with a fabulous use of rhyme. I’m sure the rhythm helped my son to remember key passages word for word. It has also been converted into a short film by the BBC. If you like The Gruffalo, be sure to check out the other hugely popular titles by the same author and illustrator which use sense of rhyme throughout (‘Stickman’ is another favourite in our household). Age 3-8. The Complete Adventures of Peter Rabbit by Beatrix Potter. Peter Rabbit is a classic to cherish for life. The illustrations are timeless and for me there is something so nostalgic reading this story to my children. Beatrix Potter lived in the Lake District and visiting this part of the UK every Christmas I wonder if this is why I’m particularly fond of the Peter Rabbit series. Actress Emma Thompson has written a series of new Peter Rabbit tales and as a Beatrix Potter purist I was pleasantly surprised. A new Christmas edition makes a lovely gift. Age 0-4. Where’s Spot? by Eric Hill. This is the first in the Spot the Dog series and features flaps to lift on every page. Crucially it uses a range of prepositions to demonstrate where Spot and his friends are hiding – under the mat, in the clock and so forth. Illustrations are bright and simple and Spot is playful and mischievous, but gentle, making this a winner in our household. Previous Post Expat mums: Do you suffer from EMS?